Representatives of royal families often appear in public, which means that their safety may sooner or later be at risk. Nowadays, every influential person, be it a politician, a movie star or an entrepreneur, has professionals looking out for their safety. Meghan Markle is no exception: her personal bodyguard, as expected, is accompanying her on her first foreign tour. The name of the female bodyguard is not known for certain. What is known about her is that she is never far from Meghan’s side and is pretty good at her job. 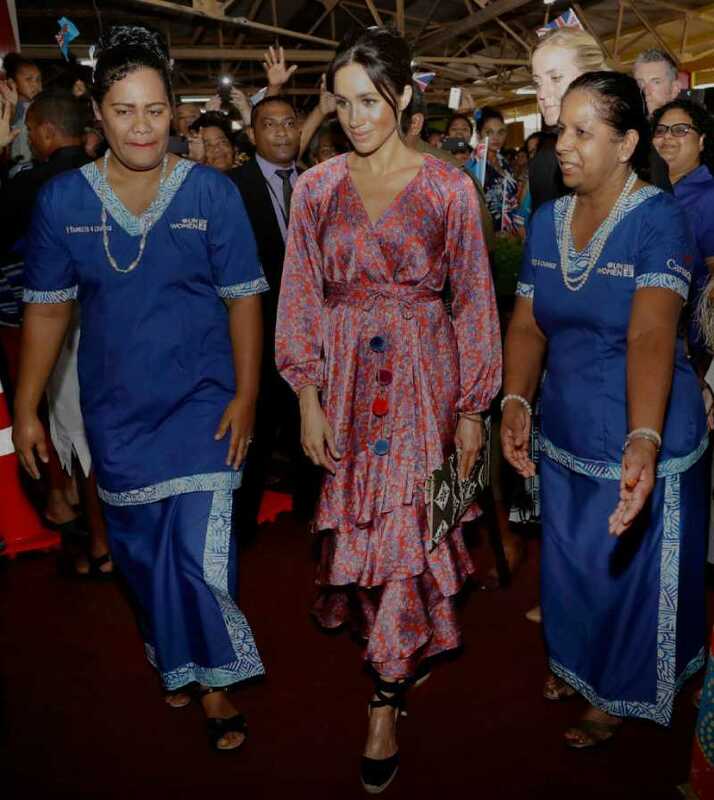 The other day, Markle had a solo event planned as part of her visit to Fiji: the duchess arrived in the local market, but only after a few minutes had to leave at the insistence of her female bodyguard. The experienced security professional considered that there were too many people, and hurried to evacuate the pregnant duchess. 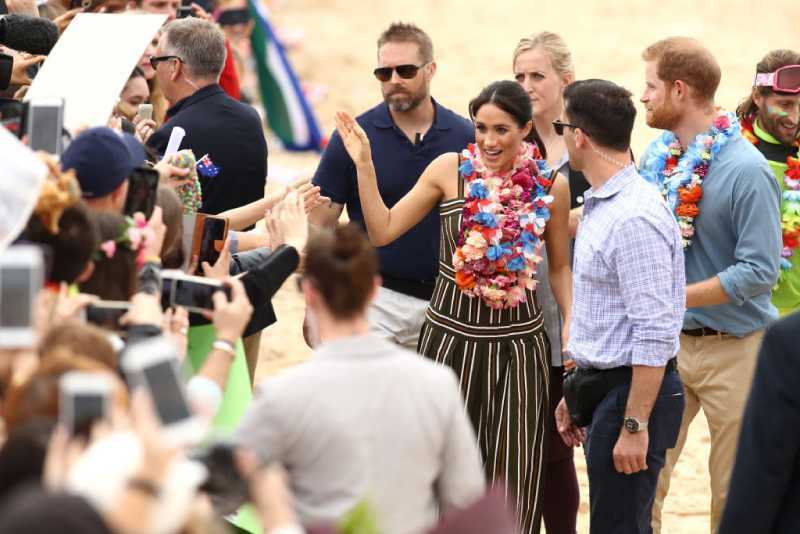 According to Daily Mail, this woman has been working for Harry and Meghan for several months and was assigned to accompany the couple to all scheduled 76 events of their Oceania tour. She probably replaced the prince’s head of security, Bill Renshaw, after his resignation. Markle is not the only member of the royal family who has female bodyguards. According to Express, since 2010, right after the announcement of the engagement with Prince William, Kate Middleton has been accompanied by Sergeant Emma Probert. Camilla Parker Bowles also uses the services of female bodyguards. For example, during an official visit to the UAE, she hired a whole team of bodyguards, which consisted solely of ladies. Does this mean that the royal family finds women to be more reliable bodyguards? Probably not, but there is one rather interesting explanation. It is rumored that it was Prince Charles who insisted on it. He must have learned his lesson after discovering that his former wife Lady Diana was romantically involved with one of her male bodyguards. Nowadays, the boundary between ‘male’ and ‘female’ professions is so blurred that ladies-bodyguards don’t surprise anyone. And what do you think about it? If you were Meghan, Kate or Camilla, to whom would you rather trust your life: women or men?